Christine Houston was born and raised in Chicago Illinois. She is an award winning playwright, actor and director. Her stage Play, "Two Twenty-Seven" was adapted to television and became NBC's hit sitcom "227". 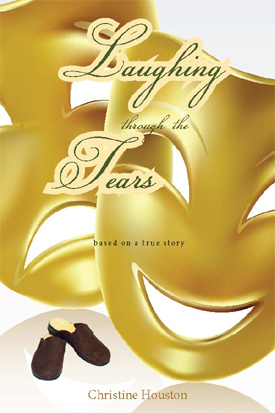 "Laughing Through The Tears," is based on a true story that allows the reader to experience the anger, fear, anguish, and denial, that engulfed and consumed Crystal Haywood after she learned that her beloved husband of thirty-five years, has the life-changing disease, dementia. She refuses to believe that all the years, loving one another, surviving the ups and downs, accepting the good with the bad, raising their four children, together, will soon be erased from Eric's mind. There just wasn't no way Crystal could accept it. Although she had often been reminded that laughter was the best medicine Crystal thought she would never ever be able to laugh and cry at the same time.